Good oral hygiene results in a mouth that looks and smells healthy. Teeth are clean and free of debris, gums are pink and do not hurt or bleed when brushed or flossed, and bad breath is not a constant problem in a healthy mouth. If your gums do hurt or bleed while brushing or flossing, or you are experiencing persistent bad breath, see your dentist. Any of these conditions may indicate a problem. At Euclid Smiles, we can help you learn good oral hygiene techniques. 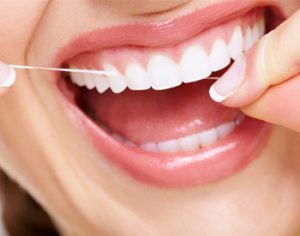 We can also help point out areas of your mouth that may require extra attention during brushing and flossing. Antimicrobial mouth rinses and toothpastes reduce the bacterial count and inhibit bacterial activity in dental plaque, which can cause gingivitis, an early, reversible form of periodontal (gum) disease. Click here to see an ADA video on proper brushing techniques.